Feel sad when you take down the Christmas decorations? 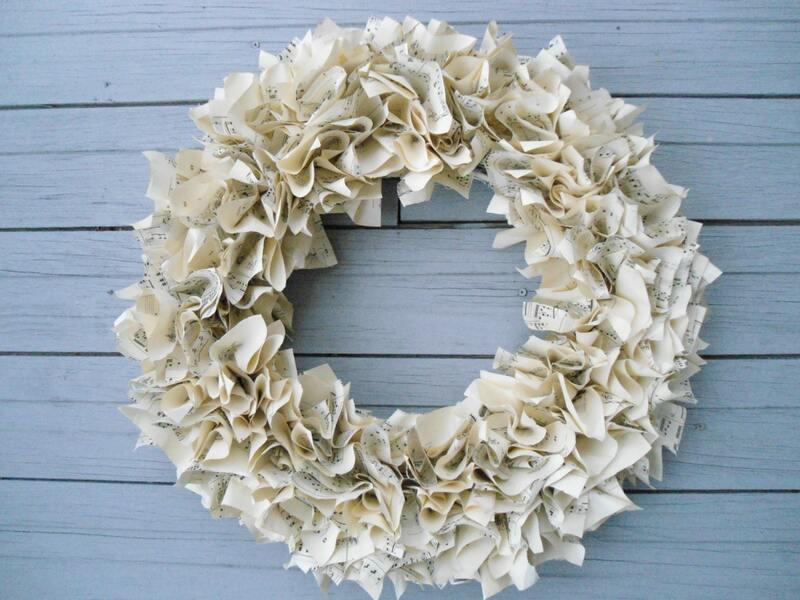 Our original Piano sheet music wreaths are one of our best sellers! 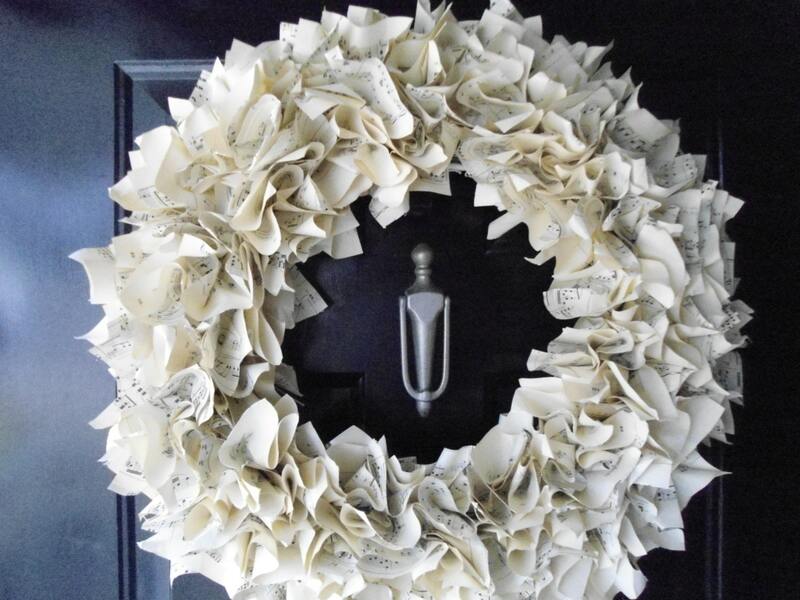 Feedback from the owner of this wreath shown, just shipped last week: " This Wreath will be a wonderful conversation piece. Extremely well done, A beautiful piece of art. AAA seller" Order yours now for the music lover on your list, as these have a 2 week turnaround time! 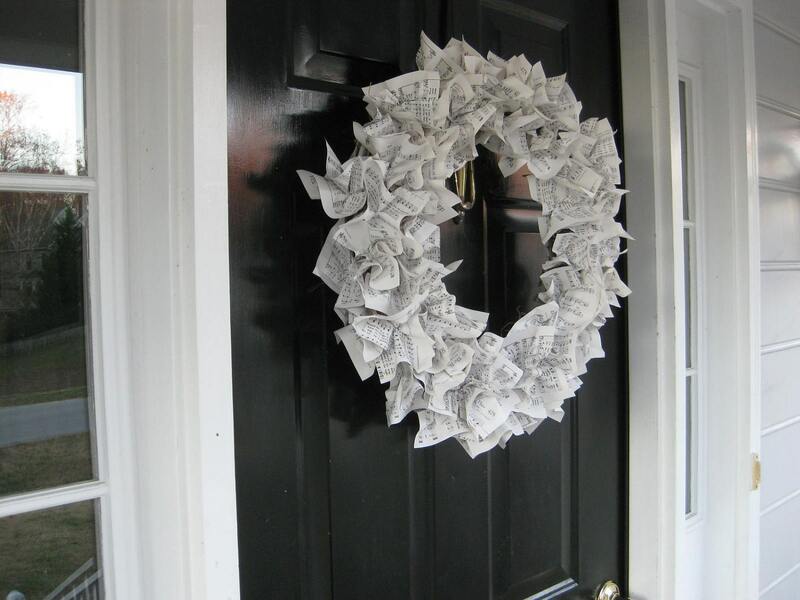 This for a wreath exactly like the one shown; photos 1 and 2 are a hymnal wreath shipped 11 19, and the last 2 photos show a vintage piano sheet music wreath shipped later that same week (11/26).. I've sold 35 or more of these and it was hands down the favorite, out all the different wreaths I've made, at a huge local show (40,000 people there) recently. 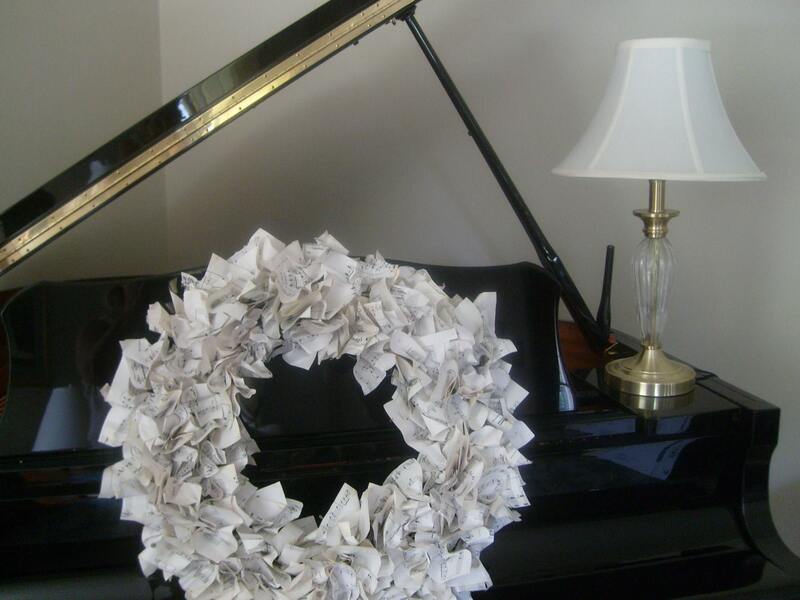 This listing is a music wreath like the one shown, which I will make for you from old piano music. 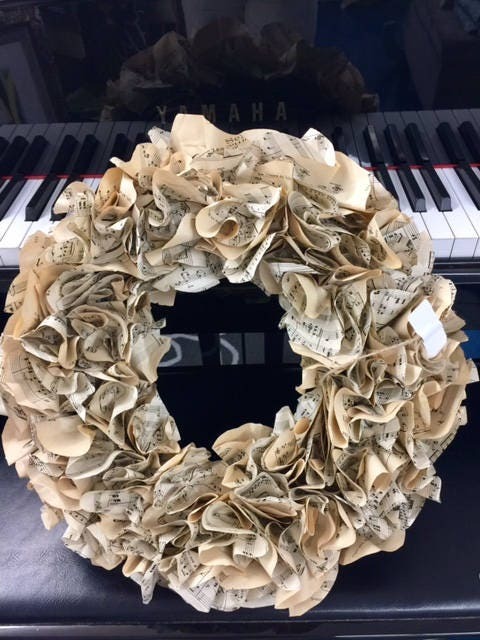 These festive wreaths make the perfect gift for that special musician in your life, and are ultimately practical, because they can be used year round. I found stacks of vintage piano sheet music books I'd saved over 25 years when I was preparing for piano students whom I teach. I hated to throw out the music, and decided I would re-purpose it into something beautiful. This new design~using 2 whole books of music~ was such fun to create, and I'm pleased with how it turned out! 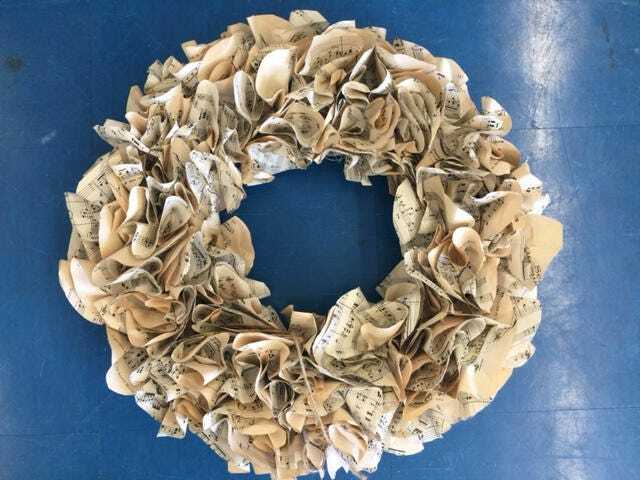 I personally cut each piece of music, rolled, folded, and crimped it, inked the edges, and wove it through the strands of this grapevine wreath, securing it with adhesive to make this lovely wreath. 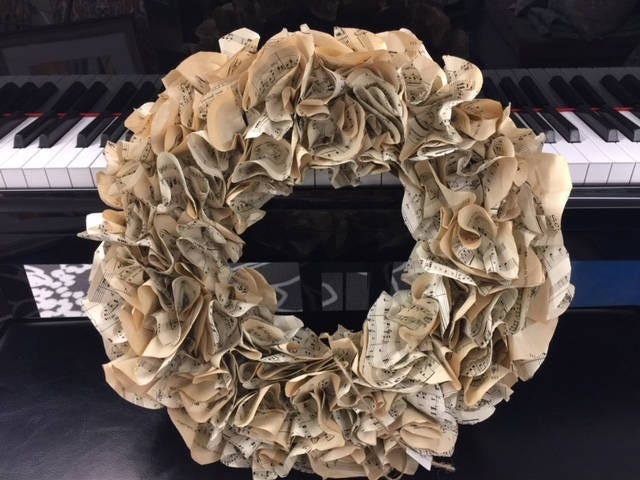 It could be hung with or without a ribbon, or suspended from vintage lace, or it could even be used as a large candle ring or a wedding centerpiece...and I'm sure you'll think of more year round uses for this piece :) It measures 22-24" round, and every piece is from actual music (NOT copies). piano sheet music (the older piano music has more of a yellowish tone...pics 5,6,7) like this one shipped a couple weeks ago. 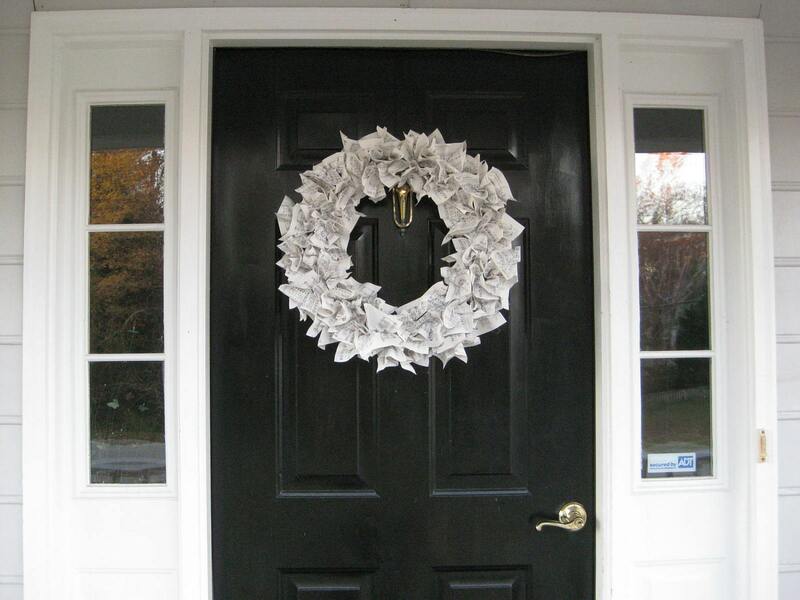 Please allow me 2 weeks to get your wreath made before shipping. Contact me with any questions you may have.